There is a lot of debate and confusion surrounding the man-made term "King James Only." It has been popularized in recent years by men who claim they are concerned about a dangerous and cultic view of the King James Bible. Rarely do they carefully define the term, though, and as a result a wide variety of Bible-believing men are given a nebulously-defined label. The term “King James Only” was invented by those who oppose the defense of the King James Bible and its underlying original language texts. It was intended to be a term of approbation, and it is usually defined in terms of extremism. I have been labeled “King James Only” because of my writings on the subject of Bible texts and versions. To set the record straight, let me explain what I believe. I know that this is also what a large number of other King James Bible defenders believe. If “King James Only” defines one who believes modern textual criticism is heresy, call me “King James Only.” Prior to the Internet era, I spent hundreds of dollars to obtain the writings of the men who have been at the forefront of developing the theories underlying modern textual criticism, and I have read them. They are not dependable. They refuse to approach the Bible text from a position of faith in divine preservation. Most of them are out-and-out heretics, and I refuse to lean upon their scholarship. I am convinced they do not have the spiritual discernment necessary to know where the inspired, preserved Word of God is located today. If “King James Only” defines one who believes that God has preserved the Scripture in its common use among apostolic churches through the fulfillment of the Great Commission and that He guided the Reformation editors and translators in their choice of the Received Text and that we don’t have to start all over today in an to attempt to find the preserved text of Scripture, call me “King James Only.” The theories of modern textual criticism all revolve around the idea that the pure text of Scripture was not preserved in the Reformation text but that the Reformation editors, because of their alleged ignorance and or lack of resources, rejected the best text and chose, instead, an inferior one. In fact, modern textual criticism is predicated upon the theory that the best text of the New Testament (the Egyptian or Alexandrian) was rejected in the earliest centuries and was replaced with a corrupt recension that was created through the conflation of various manuscript readings (the Byzantine or Traditional text) and that the corrupt text became the dominant text throughout most of church history (for 1,500 years) until the best text was rediscovered in the 19th century. You are free to accept such views if it suits you. I, for one, believe it is absolute nonsense. If “King James Only” defines one who believes that the KJV was given by inspiration, I am not “King James Only.” The authority of the King James Bible is the product of preservation, not inspiration. The term “inspiration” refers to the original giving of the Scripture through holy men of old (2 Tim. 3:16; 2 Pet. 1:20-21). At the same time, I agree with the Pulpit Commentary when it says, “We must guard against such narrow, mechanical views of inspiration as would confine it to the Hebrew and Greek words in which it was written, so that one who reads a good translation would not have ‘the words of the Lord.’” To say that the King James Bible is the inspired Word of God in the English language because it is an accurate translation of the preserved Hebrew and Greek is not the same as saying that it was given by inspiration. If “King James Only” defines one who believes the English KJV is superior to the Hebrew and Greek texts upon which it was based, I am not “King James Only.” In fact, I believe such an idea is pure nonsense, as it would mean the pure and preserved Word of God did not exist before 1611. If “King James Only” defines one who believes that we do not need to study Greek and Hebrew today or that it is not important to use lexicons and dictionaries, I am not “King James Only.” God’s people should learn Greek and Hebrew, if possible, and use (with caution and wisdom) study tools. When the Bible says that “holy men of God spake as they were moved by the Holy Ghost,” we know that the words they spake were Hebrew, Aramaic, and Greek words. But foundational to the study of the biblical languages is a thorough understanding of the textual issue. We must study the right Greek and Hebrew, and we must also be careful of original language study tools, because many of them were produced from a rationalistic perspective and with great bias against the God-blessed Received Text. 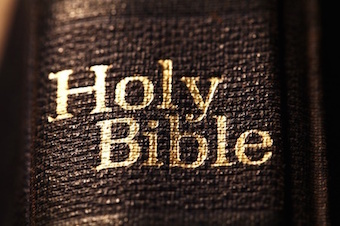 If “King James Only” defines one who believes the preserved Word of God is available only perfectly in English, I am not “King James Only.” The Masoretic Hebrew Old Testament and Greek Received New Testament translated correctly into any language is the preserved Word of God in that language, whether it is German, Spanish, French, or Korean. If “King James Only” defines one who believes that a person can only be saved through the King James Bible, I am not “King James Only.” It is the gospel of Jesus Christ that is the power of God unto salvation (Rom. 1:16), and even a Bible that is textually corrupt contains the gospel. If “King James Only” defines one who believes that the King James Bible’s antiquated language is holy or who believes the KJV could never again be updated, I am not “King James Only.” I doubt the KJV will ever be replaced in this apostate age, but to say that it is wrong to update the language again after the fashion of the several updates it has undergone since 1611 is not reasonable. Having dealt extensively with people who speak English as a second or third language, I am very sympathetic to the very real antiquation problem in the King James Bible. At the same time, I am not going to trade an excellent Bible with a few problems due to old language for a Bible filled with error due to a corrupt text and/or a corrupt translation methodology (e.g., dynamic equivalency).